The first thing that I want to say before you listen is that this show is not meant to be medical advice. It’s information that might help you or answer many questions you have about bowel habits…and poop. We did not cover every possible thing that can impact bowel habits, but I think we hit the, um… highlights. If have any questions at all about YOUR specific situation, please see your personal healthcare provider. I know, The Poop Episode isn’t exactly an…appropriate title…or topic. But this is real life and poop is something that really impacts your health. What’s more, it’s the topic of conversation that launched the show (listen to Episode 1, y’all!). In today’s episode of The Southern Fried Girlfriends Podcast, Dee and I talk through this important issue. And we laugh…a lot. But we also get really into the misconceptions, concerns and talk about what is NORMAL. We also delve into what’s not normal. We talk a lot about fiber and water. The two magical things that can help regulate bowel habits! How much fiber you should eat each day depends on gender and age. For women between 18-50, 25 grams is appropriate – older women need a little less, about 20g. Men need more, 30 or more grams per day. Everyone needs to be drinking enough fluids – 8-10 cups per day is a good goal. In this show, we also talk about several other important things to keep in mind that can impact how often you go and how comfortable it is when you do go, including diet, probiotics, and much more. I forgot to mention exercise and physical activity, but that can ALSO have a significant impact, y’all. I share tips and we may also over-share some things too. Hey, if we can’t be honest with our Girlfriends, who can we be honest with? Listen to Episode 5: The Poop Episode below or subscribe via iTunes, Stitcher, Google Play, and more by searching for The Southern Fried Girlfriends Podcast on your podcast app. 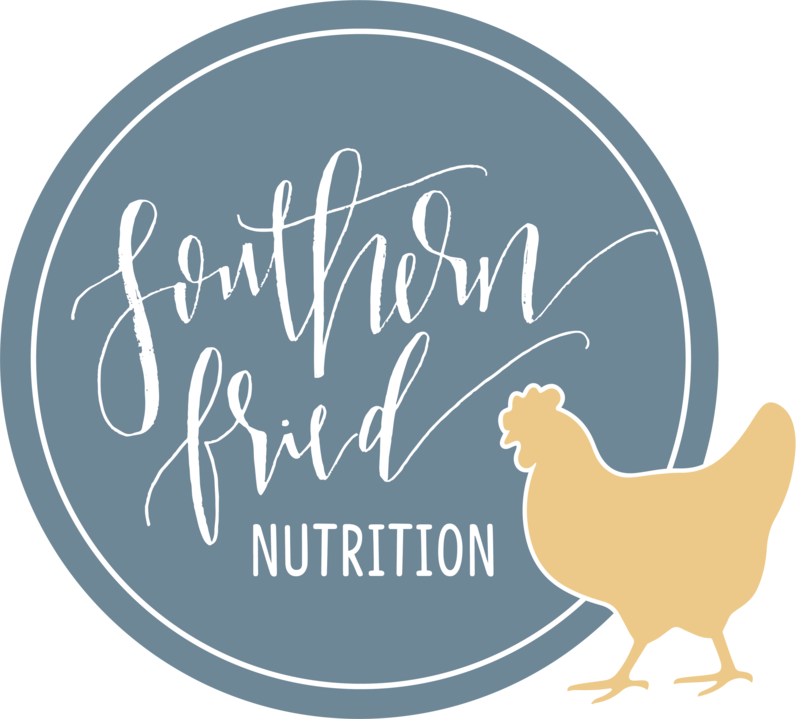 Swing on over to The Southern Fried Girlfriends Facebook page to chat about this topic, get some other resources, and look out for my Monday Morning Chat Live there too! If you want to learn more about what’s normal for bowel habits, this is a great resource. To learn more about IBS and FODMAPs (which stands for fructose, oligosaccharides, disaccharides, monosaccharides, and polyols), I recommend my colleague Kate Scarlata’s website and book.